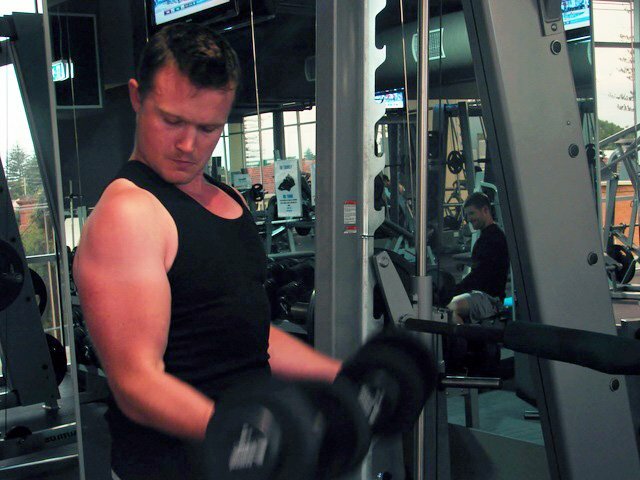 Matthew found the inner strength he needed to overcome his illness in the gym. 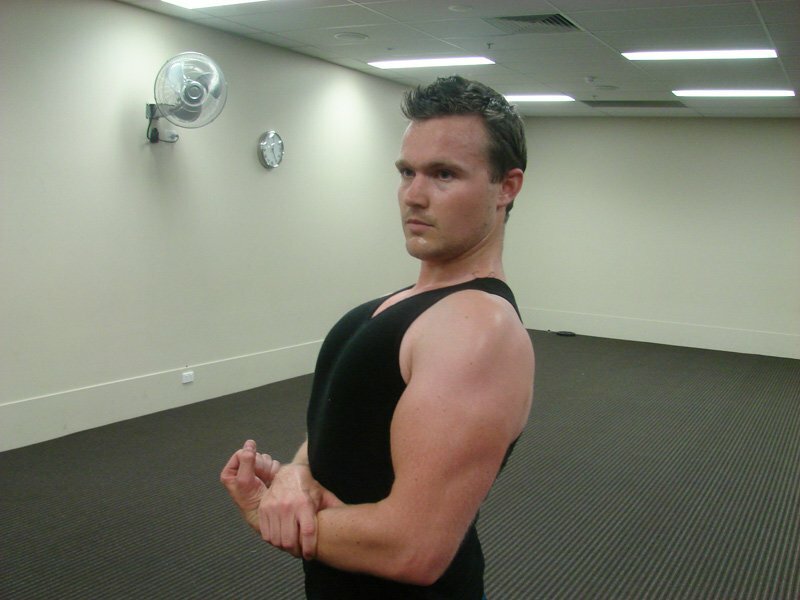 Read on to see how he changed his eating habits and added size to his frame. 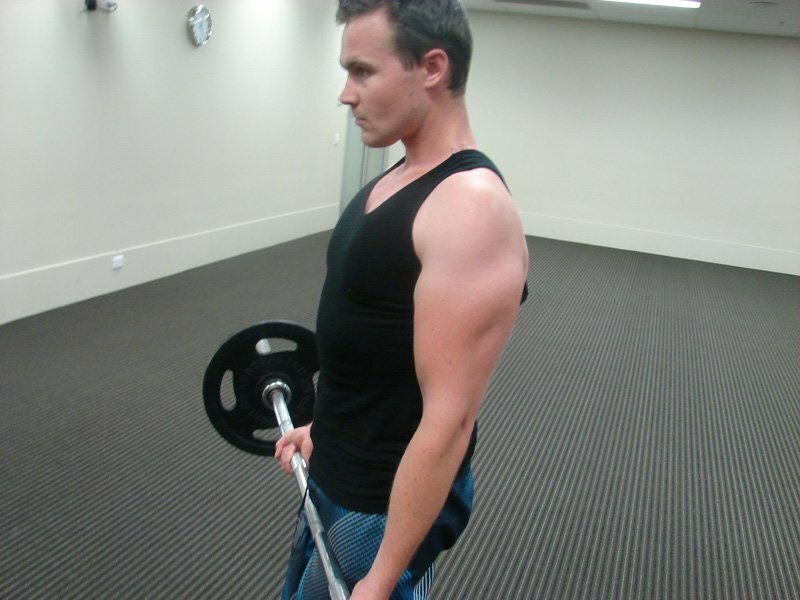 I started bodybuilding initially to bulk up as part of my recovery from an eating disorder. I battled an eating disorder (Eating Disorder Not Otherwise Specified) between 2003 to 2006. 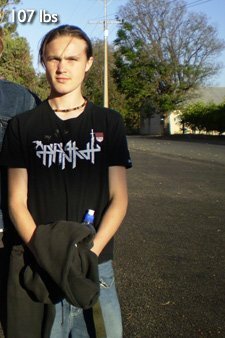 In Late 2005 I reached 49kg which was my lowest point. It was here, in line with professional therapy, that I decided I needed to bulk up big time. Matthew used his guns to "off" a pesky eating disorder. I started this process gradually. First, my father purchased my first gym membership in early 2006. It was here that I was allocated a trainer who eased me into the weight lifting game, provided sound advice and proper nutrition for weight gain. Also, I heavily researched the bodybuilding domain, looking at books, magazines and the internet, including Bodybuilding.com. When I first started lifting weights, it was basic. 3 days per week, compound lifts and some isolation work. Diet wise, I started having 6 meals per day, consisting of high protein, carbs and fats. I still kept up some cardio activity. Over time, I started playing around with split routines such as 4-and-5-day splits. I would stick to a routine for 12 weeks then change it up, talking a scheduled break every 3 or so months for 1-2 weeks. 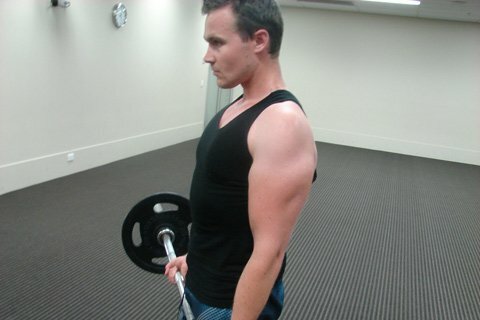 At present, I am training for a South Australian WNBF Natural Bodybuilding competition in 2012. 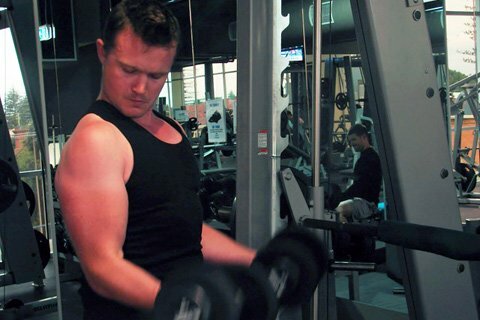 My coach/mentor Joseph Mencel (Managing Director, Massivejoes.com, and Natural Bodybuilder) has me on a specific 5 day training split and 6-7 meal a day nutritional plan. I could not have commenced and followed through this journey without a lot of help. Help came from everywhere, from the beginning to the present. Of course, my family was a huge help and were supportive of my endeavors and of course my beautiful wife, Alice. She is extremely supportive of my goals. 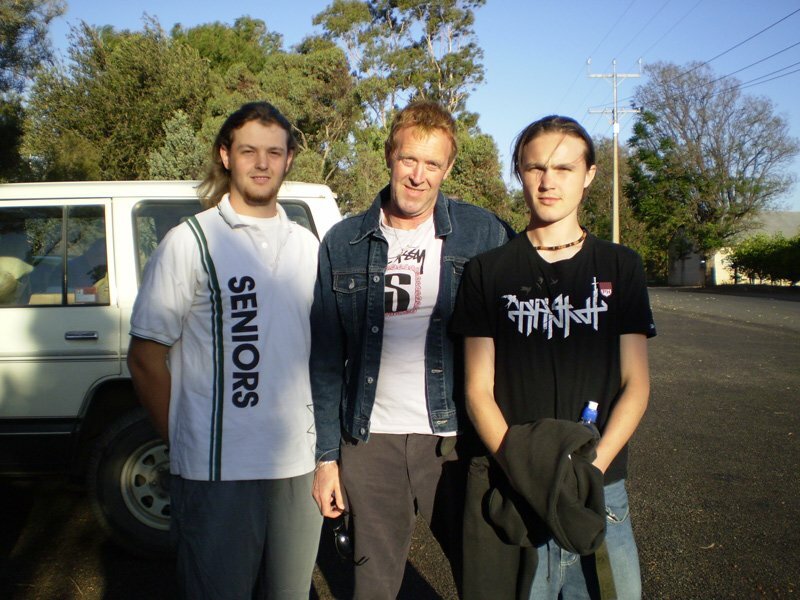 However there were a number of other people that helped me, such as my initial trainer all the way back in 2006. Also, bodybuilding resources such as Bodybuilding.com and a number of inspirational people including Marc Lobliner (President of Scivation), Layne Norton (Team Scivation, Natural Pro Bodybuilder and powerlifter), Phil &apos;The Gift&apos; Heath (IFBB Pro Bodybuilder), Joseph Mencel, and another huge inspiration, Phillip Ward (Natural Bodybuilder, Max&apos;s Sponsored Athlete). In total, it has taken me approximately 5.5 years to go from 49kg to my current weight of 83kg. This has included some bulk/cut cycles. even the rest of the gym equipment gives him a wide berth. Training days are 7 meals (5 times per week), non training days are 6 meals (2 times per week) which includes 1 free meal per off day, approx 2.5 to 3 hours apart. This meal plan has been devised by my coach/mentor, Mr. Joseph Mencel. Whey my weight stalls, I up my carbohydrates depending on the advice of my coach (approx up by 20g for 5 of my meals). I have unlimited green vegetables and have no more/less than 2 servings of fruit per day. Free meal consists of whatever I like. I do not binge/go all out. Just have a nice meal with my wife/Friends family i.e. large bowl of spaghetti bolognaise or burritos etc. It provides a psychological break for my strict diet without having to worry about macronutrients etc. All sets are taken to failure. I train at 6:30 a.m. weekdays, 8 a.m. weekends. All sets below don&apos;t include warm up sets, which I do. I try to increase weight every workout. My training schedule is devised into a 5 days per week split. I stick to compound movements where I can. I generally drop set the last set of each exercise to ensure full muscle failure except Squats and Deadlifts (Drop set: Weight is decreased after each set). I utilize a mind/muscle connection when lifting. I really concentrate on feeling the exercise work the muscle and fill it with blood. Train hard. I know we&apos;ve all heard this, but it&apos;s true. By hard, I mean as much intensity as possible. Make sure you are going to absolute muscle failure. Utilize compound movements where possible. These are important for testosterone development, work numerous muscle groups and help with strength. You need to eat enough. You may think you eat &apos;heaps&apos; but obviously, if you aren&apos;t gaining weight, you need to eat more. If you say &apos;but I eat 4000 calories a day,&apos; well, eat 4500 per day. It goes in the reverse, if you gain too much fat, then you&apos;re eating too much (or not training hard enough). Try to have balance in your life. Bodybuilding should enhance your life, not overtake it. Have small goals. It helps with motivation. 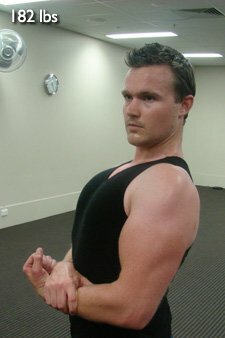 If you think you&apos;ll never gain muscle, it&apos;s impossible, too hard etc. Well, I had an eating disorder, which I managed to overcome. So really, anything is possible with goals and the drive to succeed. Talk to people who share the same goals and interest in bodybuilding as you do. It helps with motivation and achieving your goals. Have an inspiration. This helped me a lot in my journey. In bodybuilding, I have 5 inspirations, Marc Lobliner, Layne Norton, Phil Heath, Phillip Ward, and Joseph Mencel. In my overall life, my wife and my parents. Having such inspirations significantly helps you stay motivated to achieve your goals.